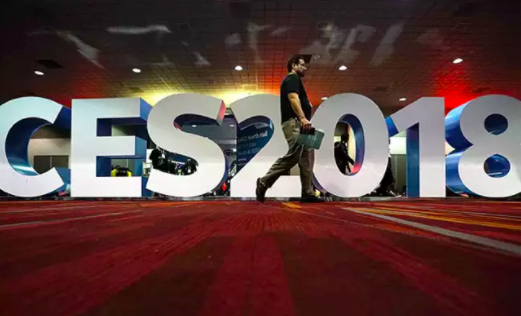 This past week, the 2018 Consumer Electronics Show concluded after days of innovative announcements and exciting showings. As the forefront of technological advancement, where companies feature their newest inventions, we saw showings ranging from updates on existing products to products that look like they’re straight out of a Black Mirror episode. Buddy, the companion robot, is more or less a tablet on wheels whose job is to manage your smart home in a number of ways. 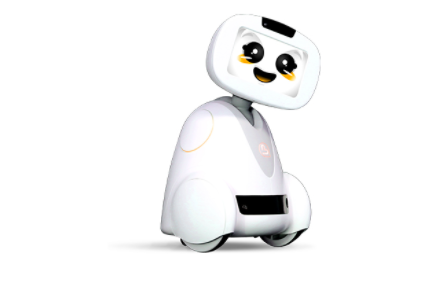 Buddy’s main purpose is to “connect, protect, and interact with each member of your family” so says the official website. This includes acting as a personal assistant by managing calendar and alarm clocks, monitoring your house through its webcam-esque feature, serving as a playmate for younger household members, and acting as a hand free helper for questions and tasks like pulling up a recipe or tutorial. This robot is cool in theory, as it basically manages your home-life for you, but I would certainly jump 5 feet in the air every time I turned a corner in my house and saw this thing looking up at me. Apparently we can not get enough of virtual reality, as VR products swept CES this year, and the TeslaSuit is of the craziest. This suit will simulate sensory inputs to give you an even more real-feeling virtual experience. The technology will simulate the feeling of hot and cold, as well as simulate nerves and muscles that react to the likes of a gun recoil and gun shots, and mimic the feeling of wounds and damage. 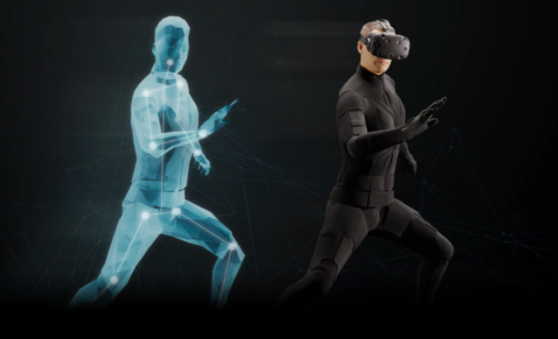 Video games have never felt more real than with the TeslaSuit. 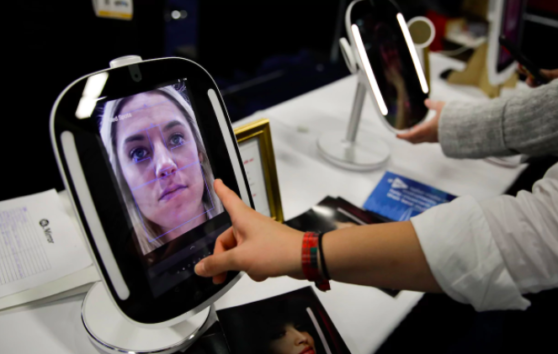 A surprising number of beauty products made a showing at CES and the HiMirror is one of the many directed at skin care and maintenance. The HiMirror is a smart mirror that’s linked to Amazon Alexa, which analyses your skin and tracks its changes. The product will act as a virtual beauty assistant, giving you make up product recommendations to fit your skin needs, as well as offer tutorials in using those products to your advantage. This toilet is sure to give you the ultimate bathroom experience, although I’m not sure why we need this many features for our toilet…even if they are pretty sick. 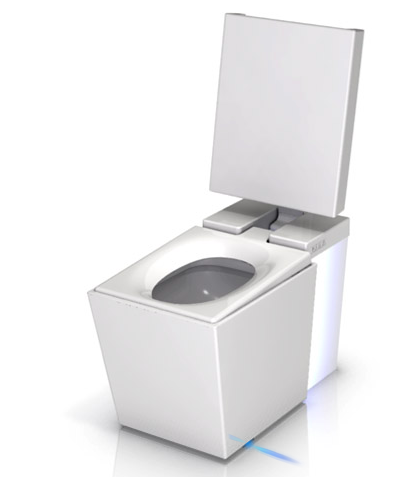 The toilet is highly advanced, with features like a motion activated cover and seat for hands free opening, a deodorizer that pulls air through a deodorizing charcoal filter, heated seats and foot warmers, and a sound system so you can listen to music. As the toilet of toilets, this product wows by targeting your every possible need to complete your apparently very mundane bathroom experience. Ok, now this is a very dope product. 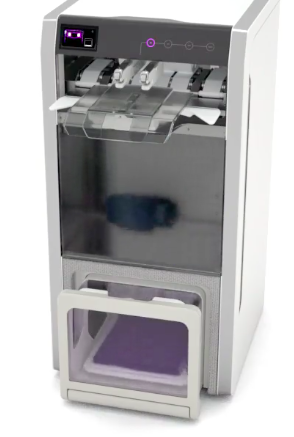 The foldimate is basically your laundry-day savior—you feed your clean clothes through the top of the machine and out comes a perfect stack of folded laundry, like magic. If you are anything like me, doing laundry is the worst and I have a habit of letting clean clothes sit in a basket for days without putting them away. With foldimate, this is no longer an issue as the machine does it for you! It may cater to the lazy—because realistically folding your clothes is not a task you need a machine to do for you—but if some robot is offering to do it for me I am certainly not going to say no. As if our eyes weren’t already glued to our smart phones, the Vuzix Blade makes this more of a reality than a figurative saying. These Amazon Alexa enabled smart glasses are able to overlay information through the lenses over the real world in augmented reality. 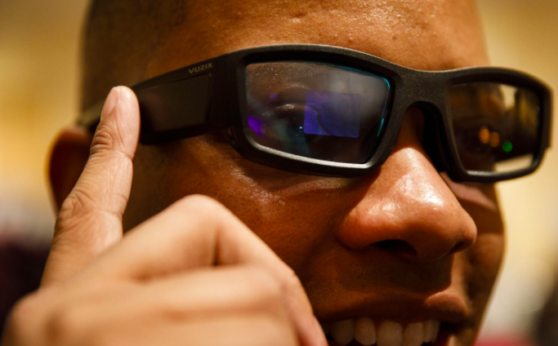 They will allow you to pull up things like maps, menus and weather reports right into the lens of the glasses, so you won’t ever have to go anywhere without your computer or smartphone. This strikes me as a potential safety hazard, but the product is still slightly in the works and far from consumer retail. 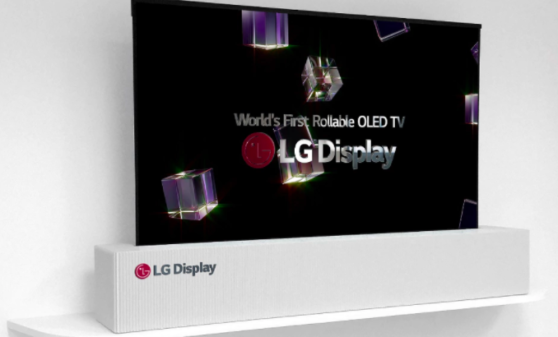 This product is basically a massive TV that looks pretty similar to what we have today but remarkably thinner. BUT, it is much more than meets the eyes. The TV is actually able to roll up, as if it were nothing more than a piece of paper, making it much easier to move and place in storage. Toyota’s e-Pallete was one of the bigger showings at CES, because it’s a car—well, much more than just a car. 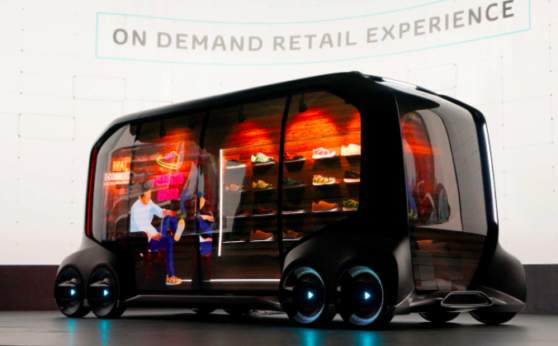 It’s a self-driving concept vehicle that will serve as a virtual shop front and parcel delivery service. Companies like Pizza Hut have already signed up for demos, so it is likely we will see a sharp decrease in the “delivery boy” job market as these self-sufficient vehicles take over the delivery system. By the way, this concept actually was featured in a Black Mirror episode (shout out to “Crocodile”). Previous ArticleThe Curious Incident of the "Locardi Landscape Saga"